Community support is critical to the programming of Playtime Poppy Children’s Theatre. Contact us today to discuss how your organization can support the 2016-17 season. 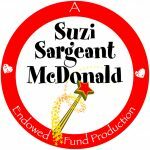 Thank you to the 2018-19 sponsors of Playtime Poppy Children’s Theatre.